In our body, there is 30% to 40% protein is made up of collagen. It is a connecting agent between cells. It is mainly used as the binding agent in our connective tissue such as bone, tendon, ligament, blood vessel and skin. Dermis of the skin is composed mainly of collagen, making the skin look compact and elastic. Collagen will loss with aging, stress life, unhealthy lifestyle, UV radiation, environmental pollution and other factors, which cause the aging of physiological function and skin once there is an inadequate collagen in our body, the dermal tissue will collapse and skin problems such as wrinkles, sagging, large pores and freckles start to appear on the skin.Thus, we need to consume collagen in order to keep the skin young. 胶原蛋白佔人体中蛋白质的30% - 40%，是细胞与细胞之间的连接剂，主要作为人体结缔组织中的粘合物质，如骨骼、肌腱、韧带、血管、肌肤等的构成材料，而肌肤组织中真皮层的绝大部份即是由胶原蛋白所组成，可让肌肤外观看起來紧致有彈性。 胶原蛋白会随着老化、生活压力、作息不当、紫外线照射、环境污染等因素逐渐流失，使生理机能或肌肤出現老化的现象，一旦不足，真皮组织会塌陷，出現皱纹、松弛下垂、毛孔粗大、色斑等問题，所以想维持肌肤年轻，一定要補充胶原蛋白。 Tubuh kita mengandungi 30% hingga 40% protein yang dibina daripada kolagen. Ia adalah agen penghubung antara sel. Ia adalah agen utama dalam pembinaan tisu-tisu penghubung seperti tulang, tendon, ligament, salur darah dan kulit. Dermis kulit terdiri terutamanya daripada kolagen yang membuatkan kulit kelihatan mampat dan anjal. Kolagen semakin hilang selari dengan peningkatan usia, kehidupan yang stress, cara hidup tidak sihat, radiasi UV, pencemaran alam sekitar dan beberapa faktor lain yang mengakibatkan penuaan fungsi psikologi dan kulit. Sekiranya kekurangan kolagen dalam tubuh, tisu dermal akan rosak dan masalah kulit seperti berkedut, kendur, pori besar dan berbintik akan mula muncul pada permukaan kulit. Oleh itu, kita perlu makan kolagen ini untuk mengekalkan keremajaan kulit. Ingredients : Marine collagen, skim colostrum powder and natural vanilla powder. Recommended Dosage : 1 sachet per day. Direction of Use:Mix 1 Sachet with 200ml of lukewarm water of lukewarm (40°C) / cold water. 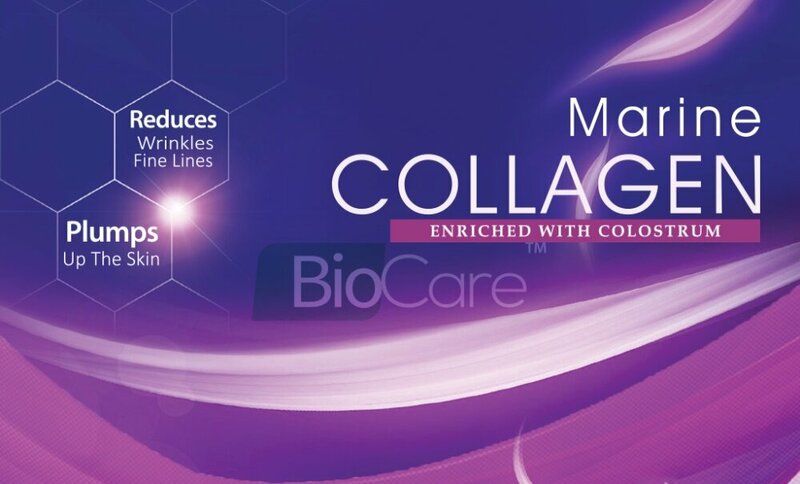 Marina Collagen Enriched with Colostrum We use skin care, cosmetic products every day for more youthful appearance. Did you know that inner nourishment is better than external application? 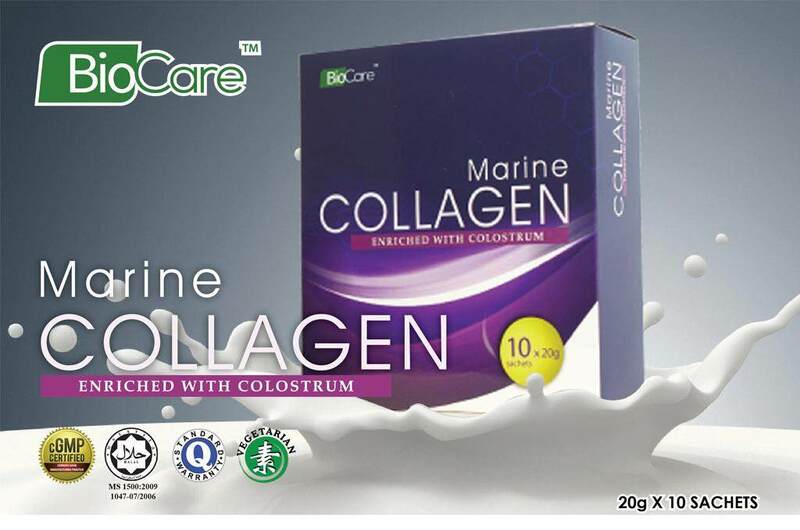 NewCo introduces you a kind of inner-skin care product----Marine Collagen Enriched with Colostrum. This product is a japan formulation that combines the natural effects of marine collagen and colostrum. 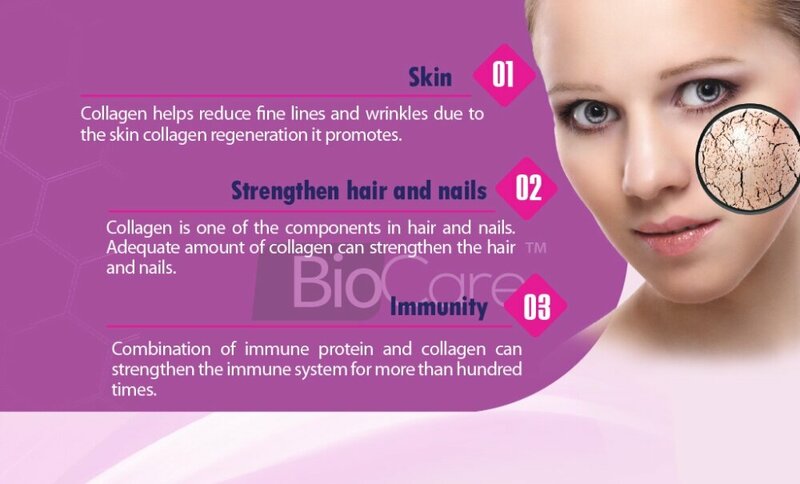 It provides pure collagen of high quality, anti-aging substances, natural moisturizing factors and immunoglobulin. 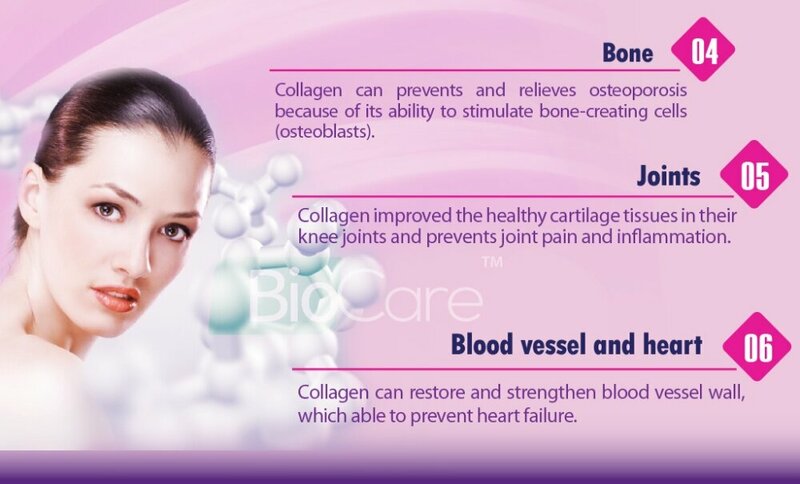 Supplementation with Marine Collagen Enriched with Colostrum not only nutritionally replenishes the need of the body, but also repairs human tissues, enhances immunity, protects joints, beautifies hairs and nails, helps lose weight, promotes more youthful skin and thus, effectively prevents aging, gaining your vitality of life!